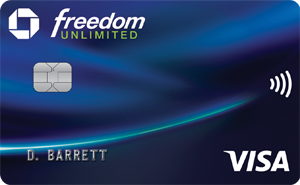 We've vetted hundreds of credit cards to bring you the select few leaders in their categories. Check out our top picks by category, some of which are from our partners, to find the best credit card to suit your needs. Hands down, we think the following credit cards are among the best of the popular offers we’ve vetted. So take a moment to review our short list of the best credit cards for travel, cash back, balance transfers, and more. This cash back card is in a league of its own for foodies offering 4% back on dining and entertainment. It also has a solid sign-up bonus. Few travel cards can go toe-to-toe with this offer's lineup, including the sign-up bonus, unlimited rewards, and best-in-class hotel rewards program. For many, simplicity is the name of the game. This card packs in a laundry list of perks that makes it a solid option for practically any credit card need, whether it be a long 0% intro APR for purchases and balance transfers, an easy to qualify for (big) bonus, or unlimited rewards. 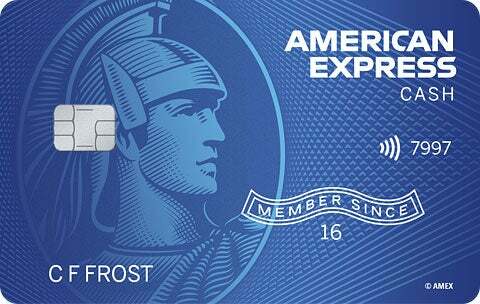 The big sign up bonus requiring minimal spending to qualify and a flat 1.5% cash back rate with no annual fee put this card on the list. The big sign up bonus with a low spending hurdle is a big perk of this card. 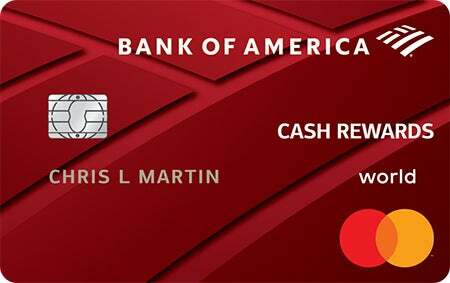 The ability to choose your 3% cash back category gives you more versatility to make this card work for you. 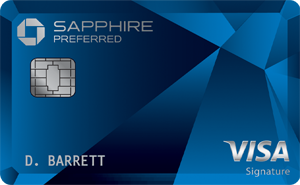 This is one of the few remaining balance-transfer cards that includes a $0 balance transfer fee (for transfers made within 60 days). Add in the premium rewards and welcome bonus, and it's hard to ignore. 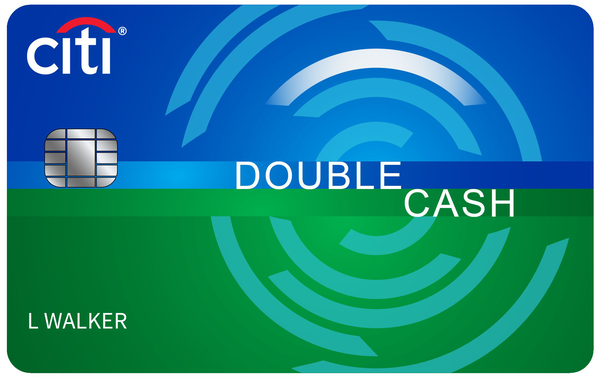 We like that this card incentivizes keeping balances low by earning a total of 2% cash back, 1% when making purchases and another 1% when paying off balances. A credit card can be a great way to build credit, earn rewards on every purchase, and even finance your purchases at APRs as low as 0%. But with thousands of cards to choose from, many people fall into a state of “paralysis by analysis,” unable to make a decision because there are simply too many choices and too many variables on which to compare one credit card to another. Here at The Ascent, we’re working to make selecting a credit card as easy as buying a new pair of socks. Below, we’ll explain the ins and outs of the credit card market, and show you how to pick a card that works best for your spending needs. As credit card enthusiasts, we don’t review or pick cards based on conjecture. We’ve used many of the top credit cards on the market to score 0% intro APRs, earn cash back rewards, and build up miles to go on the vacations of our dreams. Together, we’ve analyzed hundreds of card offers on more than 6,000 data points, reading through the fine print to find the very best credit cards the market has to offer. Though there are many different credit cards out there, virtually all card offers can be divided into five different categories based on their features and rewards programs. The first thing you should do when shopping for a credit card is to narrow the list of possible matches by picking a certain feature or functionality that is particularly important to you. 0% APR cards -- These cards offer 0% intro APRs on purchases and/or balance transfers for periods as long as 21 months, allowing you to carry a balance without paying double-digit interest rates during the promo period. These credit cards are best for people who will carry a balance since a 0% intro APR card can potentially save you hundreds (or even thousands) of dollars in interest. Cash-back cards -- These are the most common types of credit cards out there. Cash-back credit cards give cardholders rewards equal to a percentage of their spending, typically ranging from as low as 1% all the way up to 10% for spending in certain bonus categories. The beauty of cash back credit cards is that you can redeem your rewards for cash to use however you’d like. Many people redeem their rewards for statement credits, which reduce the card’s balance. You can think of a 1.5% cash back rewards card as a card that effectively gives you a 1.5% discount on everything you buy. Travel cards -- These cards typically accrue rewards in terms of miles or points for every $1 you spend and can be redeemed for flights, hotels, rental cars, and more. Travel cards also tend to have other perks (such as no foreign transaction fees when used abroad) that 0% APR cards and cash-back cards are less likely to have. Frequent travelers, especially international travelers, would be wise to have a travel credit card, if only for the benefit of avoiding foreign transaction fees. The best credit card offers for new cardholders are typically travel cards for people who have high incomes and excellent credit histories, due to their lucrative sign-up bonuses. Secured cards -- These are designed for people who have no credit history, or bad credit. A secured credit card acts just like an ordinary unsecured card, but it requires applicants to put up collateral to open the account. These cards report to the big three credit bureaus just like any other credit card, making them a great entryway into the world of credit. They’re also useful for rebuilding from a bad credit score. Business cards -- Designed for business owners and managers, these cards typically offer higher credit limits and rewards programs that pay out bonuses on company expenses like online advertising, cable or phone bills, internet and utilities, office supply stores, and others. Business cards are great for small business owners who want to separate their personal expenses from their business expenses while building a relationship with a bank that will help their business qualify for other types of financing later. Credit cards are about more than just borrowing money. A credit card is a useful payment option that offers more convenience and fraud protection, while helping you build the credit necessary to qualify for other loans at the lowest possible interest rate. Rebuilding credit -- Late payments or collections accounts can haunt your credit report for seven years, dragging down your credit score the whole time. But having an open credit card account in good standing can help you rebuild your credit by “diluting” the importance of the bad accounts. It also shows that you’re current on your newest obligations, which can help you show lenders that you’re managing your finances better today than you did in the past. Fraud protection -- It’s a simple fact that credit cards offer more fraud protection than debit cards. At the very worst, cardholders are only liable for up to $50 of losses if their credit card is used fraudulently, though most credit card companies simply eat the $50 loss rather than pass it on to their customers. In comparison, the worst case for debit card fraud is that you ultimately lose everything in your checking account (and potentially more if the account is overdrawn or linked to other accounts). Rewards -- When used responsibly, a credit card is simply a better way to pay than debit or cash. Think of rewards as an effective discount -- if you use a 1.5% cash back card to make purchases, it’s like getting a 1.5% discount on everything you buy. Over time, even small percentages really add up! One thing we want to make very clear is that picking the best credit card is a personal decision that should be guided by your financial needs. Though there is a perfect credit card out there for you, there isn’t a single credit card that is perfect for every single person. Which credit cards are the best depends on the features and functionality you want from your new card. Below, we constructed a table showing you the types of credit cards to pick based on why you want a credit card in the first place. Refinance existing credit card debt A card with 0% intro APRs on balance transfers. We give bonus points to cards that waive balance transfer fees, too. 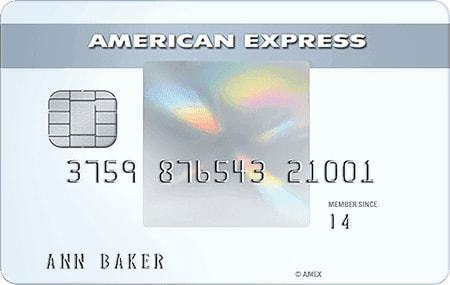 Earn rewards on all of your spending A flat cash back card that offers 1%-2% cash back on every purchase. Travel abroad and redeem rewards for travel A travel card that offers travel rewards and no foreign transaction fees. Finance purchases for my business A business card that has features designed for business owners in mind. Build credit Any credit card can help you here, but cards that offer free FICO® scores are a good pick. Minimize the risk you get denied for a credit card A secured card, which offers the highest approval rate (nearly 100%). With so many choices, doing a proper credit card comparison can be overwhelming. But the truth is that only a few things really matter when making the decision between one card and another card. Here are some things to think about as you compare one credit card to another. 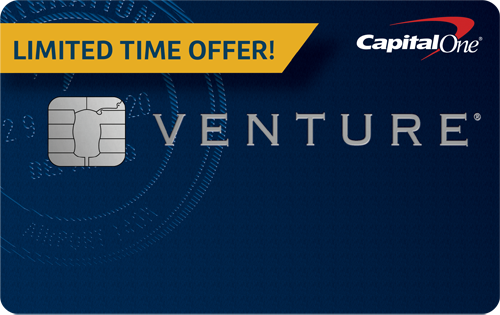 Consider Capital One® Venture® Rewards Credit Card, a card that offers 2x miles per $1 spent. Each mile is worth $0.01 each when redeemed for travel. However, if miles are redeemed for cash, miles are only worth half as much, or $0.005 each. So, while this card ranks consistently as a top travel credit card, it isn’t a good card if you will redeem your rewards for cash. A cash back credit card would be a better choice. We aren’t picking on Capital One here. Virtually all travel cards from all card issuers have some kind of “penalty” for redeeming your rewards for cash rather than travel. Unless you know with certainty you will use your rewards for travel, a cash-back credit card almost always offers more value than a travel card. We tend to think that the only thing that really matters with secured cards is finding one that doesn’t charge an annual or monthly maintenance fee just for having an account. This may seem like a simple test for picking a good secured card, but you’d be surprised at just how many secured cards are loaded with fees, some in excess of $200 per year. The best secured credit cards don’t have any annual fees, offer free access to your FICO® scores, and one even offers a rewards program! Given that these two cards exist, it doesn’t make sense to apply for a card with annual fees. We haven’t found many major differences between the top business cards, other than their credit score criteria. Some cards are designed for people who have merely “good” credit, which we’d generally categorize as a FICO score higher than 680. Others are only offered to people who have excellent credit, which for business cards can be a FICO score of 750 or better. Of course, other factors come into play for approval -- your income can be just as important as your credit score when you apply for a new card. Though more than 70% of American adults have a credit card, they aren’t for everyone. On one hand, they can offer excellent benefits that include rewards on every swipe, big sign-up bonuses, free access to a FICO® score, and 0% intro APRs for new cardholders. But if used to spend beyond your means, a credit card can put you into costly credit card debt that will take months, if not years, to pay off. You won’t use it irresponsibly -- Credit cards are not free money. If used responsibly, you’ll never pay a dime in interest or fees by using a credit card. That means making sure that you always pay your balance in full each month by paying the “statement balance” reported on your statement. Carrying a balance is a really good way to get into financial trouble since balances are assessed interest at rates in the double digits. You can manage another due date -- Failing to make payments on time and in full can result in paying late fees and interest charges. If a payment is more than 30 days late, it can negatively impact your credit score, too, doing more harm than good. Don’t use a credit card if you’re an especially forgetful person. You have predictable, recurring income -- Credit card companies require that your household have some kind of income in order to approve you for a card, but having income is also important for avoiding credit card debt. Unstable or unpredictable income is one of the biggest reasons people fall into debt. You won’t need to get a big loan in the near future -- If you’re thinking about applying for a mortgage in the next six months, you might want to reconsider applying for a credit card now. People who have thin credit files will see their scores drop after applying for more credit, and may run into trouble explaining their recent credit inquiries. The best time to start building credit is, unfortunately, when you’re least likely to need a good credit score in the next few months.